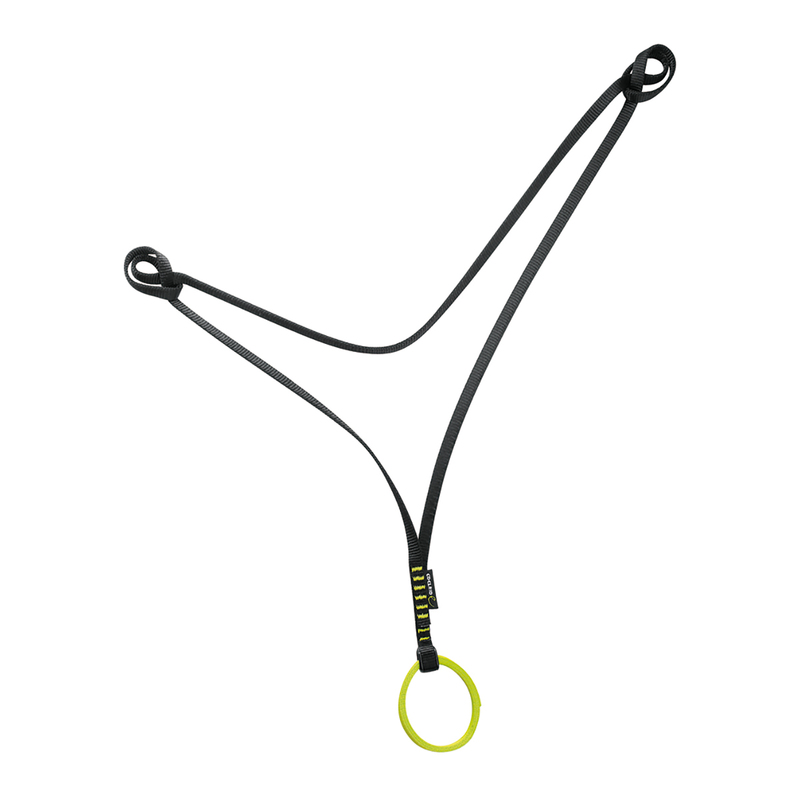 The ultimate lanyard-type sling for a quick set up and safe back up of your belay. Made of award-winning Tech Web webbing. It's so easy to use for a anchor system as designed however it do's have a draw back due to the length and are limited to use due to this! The Center loop is fully able to move giving you the ability to move slight of line of attack! If used within the limitations due to length it is a lot quicker then other options and a lot safer due to the construction!